After a night of fun and entertaining, the last thing you want to do is clean your home. That is why Mango Maids is here to help! Mango Maids provides professional after party and post-party cleaning services, don’t worry about the day after contact Mango Maids anytime and we will clean your home or business quickly and efficiently. Contact Mango Maids today for your after-party cleaning! The last thing you want to do is clean your home or business after a night of fun and entertaining, that is why the Mango Maids team is here! Our professional cleaning services are available for pre-scheduling or emergency situations. Thanks to Mango Maids there is no longer the stress of hosting a party, the fear of hungover next day cleaning is no longer a concern. We take care of everything so you can rest and enjoy a stress-free environment. No matter what sort of party you throw we can manage your after party cleaning needs. From a gathering of friends while parents are out of town, to office party cleaning, to holiday festivities or sporting events trust the professional cleaning services of Mango Maids! Our team will clean-up and have the place spotless so you can relax and enjoy the weekend. We make it look like the party never happened! Contact the Mango Maids team today to pre-schedule service or for emergency after party cleaning! If your evening escalated, and the mess is more than anticipated and the cleaning needs to be done in a hurry contact Mango Maids! Our after party cleaning services are there when you need them, so you can relax and recover from the night before. Let us know how we can help , our professional cleaners are available at your convenience – Saturday & Sunday! We the importance of a clean home and the time constraints that sometimes exist, we will come and have your home or business cleaned as soon as possible. If you have a special occasion or wedding leave the set-up and cleaning to the Mango Maids team! 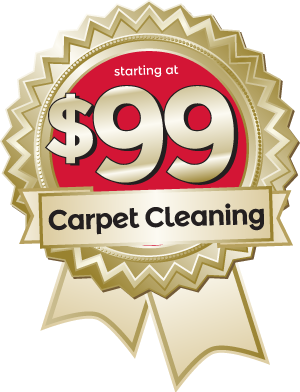 We have all of your professional cleaning needs covered, so you can enjoy the event. Weddings and party planning are stressful enough without the concern of set-up and cleaning, that is why we the same great cleaning services for special events. Our team of friendly cleaners are able to accommodate your needs, offering cleaning services that are tailored to meet your unique requirements. We are able to undertake projects of any size contact us today to schedule your cleaning services! If you throw a house party, you can know rest assured knowing that your after party cleaning needs are covered by a team of professional cleaners. We clean your home to its pre-existing condition, cleaning the home, kitchen, bathroom & basement. Ensuring garbage is taken out, recyclables are sorted, dishes are washed nad more. Contact us today to schedule your house party cleaning or ask us about our emergency after party services. Contact Mango Maids today for post party & after party cleaning services – fill out your information below and our customer service team will be in touch with you shortly!